A few months ago one of our client’s wanted a solution that would push engaging messages to their customers passes based on their activity. 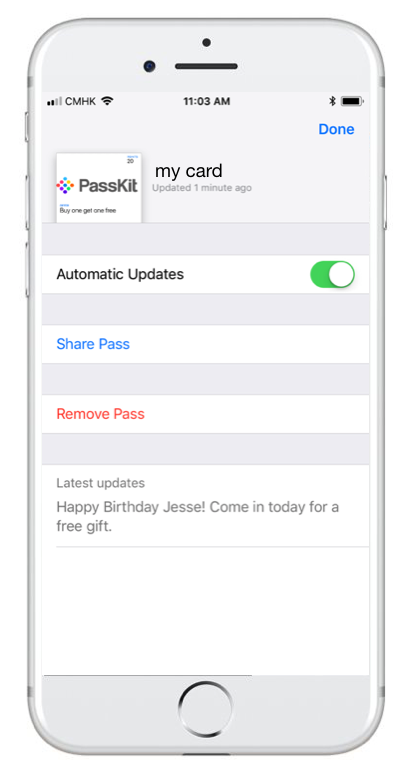 Using the Passkit API this is a very straightforward task but I thought it would be good to document the use case in the hopes that it might inspire someone else to utilize the same features. This post won’t go into how our clients CRM system works or the technology we used to handle the processing. 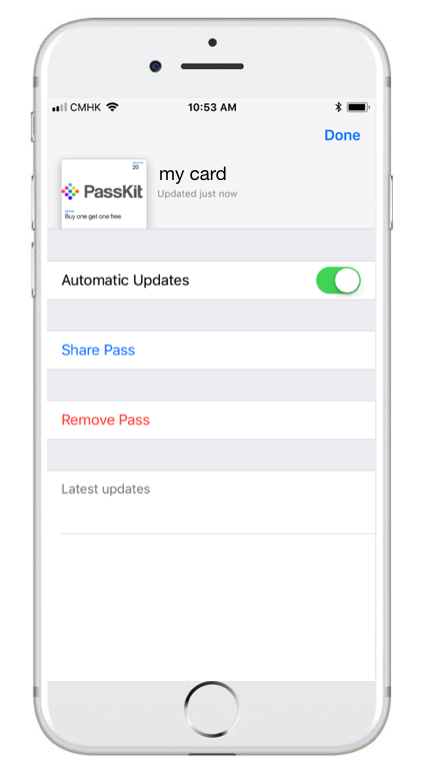 I will only be going over the features in Apple Wallet and the Passkit API that allowed the solution to work. Also, this post assumes that you already have the knowledge on how to create and update passes and templates. Firstly, for the sake of the demo, I should point out that our client’s customer database had fields that could drive actions. Let’s assume that we have a data model for customers that includes a birthday. We can use that to drive meaningful push notifications to our customers. Apple Wallet extends a very useful field called changeMsg. When changeMsg is updated, a push message notification is sent to the user’s device with a message that you can define. Now that we have updated our template, the next thing to do is update the field with the message that we want. 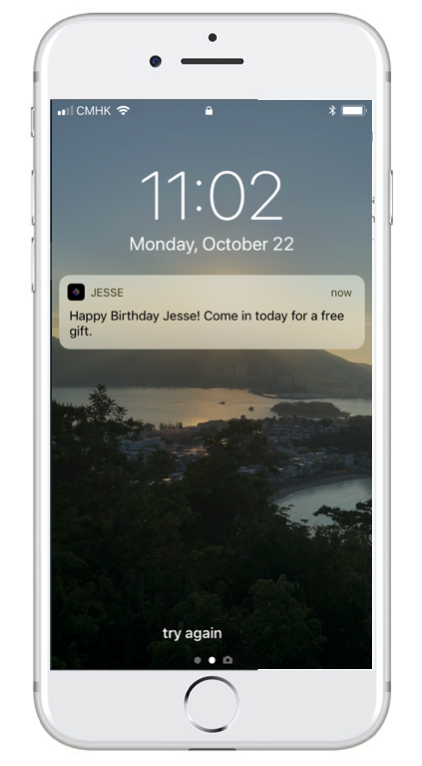 Let’s say that we decide to run a batch job every day that checks all of your customers to see if it anyone’s birthday if it is, they should receive a personalized push notification on their device. "message": "Happy Birthday Jesse! Come in today for a free gift"
Please feel free to let us know any other interesting use cases that you have found where the changeMsg made a big difference. We love to hear about the cool stuff people are building.